Panama City Beach has become THE place to be for New Year&apos;s Eve, as music, fireworks, and two iconic countdowns on one special night have captured the imagination of tens of thousands of revelers, and the attention of national news media. So what&apos;s all the fuss about? Well, there are many different options, but they all let you start the New Year off right in a beautiful destination, enjoying the soft white sand beaches and the bright December sun. Many families will arrive in PCB a few days before New Year&apos;s Eve to take part in the Biggest Loser RunWalk and health expo, which is a healthy way to kick start your New Year&apos;s resolution, or to finish the previous year&apos;s pledge with an exclamation point. 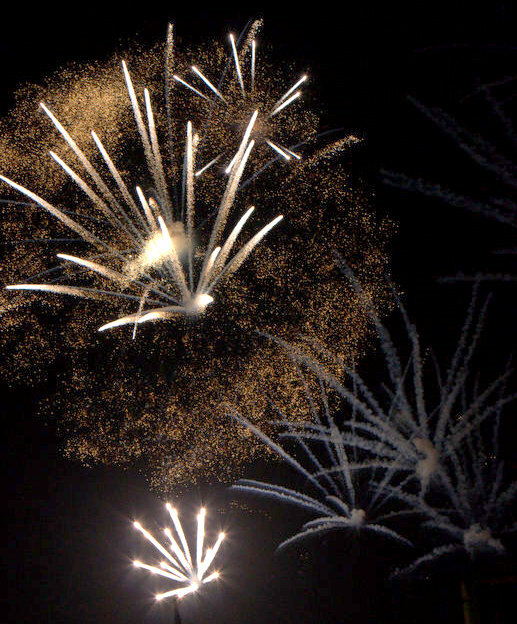 On December 31st, though - New Year&apos;s Eve - the fun really gets into high gear, and it features fireworks, music, and beach ball drops being held in Pier Park. Great bands will be on stage throughout the evening with the Barry Fish Band, Alex Angelo, Heritage, and Rupert&apos;s Orchestra getting the party going and rocking all the way to midnight. There are a lot of fun activities planned along the way, with family festivities starting at 5:30 and including face painting, giveaways, and costumed characters posing for pictures. At 8 p.m., the first iconic countdown will culminate with 10,000 inflatable beach balls being dropped over the crowd, and a fireworks demonstration that will leave you in awe. After the 8 p.m. countdown celebration, there will be more music, dancing and fun on the way to midnight, as well as plenty of shopping and dining with shops and vendors throughout Pier Park. Just before midnight, the big countdown to 2014 begins as a giant 800-lb lighted beach ball is lowered 100-feet to signify the beginning of the New Year. At the stroke of midnight, a second fireworks display starts 2014 with a spectacular bang! The New Year&apos;s Eve Beach Ball Drop is far from being the only game in town, though, as many local restaurants host late night dinner celebrations, Spinnaker Beach Club rings in the New Year with a big party, and the Sandpiper Beacon boogies into 2014 with a party at their Tiki Bar. If you&apos;re looking for something a little different, check out the fireworks from the water by taking a NYE sail with Paradise Adventures! Tickets are limited for a spot on the 60-foot catamaran, but the opportunity for good times never are. Thinking of planning a NYE getaway to Panama City Beach? Surf these special offers to get started!